A new era starts. 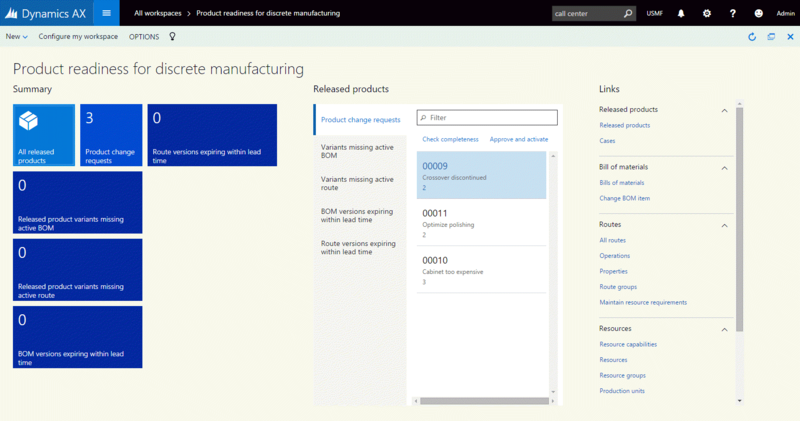 Microsoft has released its public pre-release of the ‘new’ Microsoft Dynamics AX. This version was also code-named ‘Rainier’ and ‘AX 7’. Together with this release the information is no longer confidential. In this post I will provide some details to get access to this preview and will share my personal favorite enhanced functional features. The new Microsoft Dynamics AX is a cloud based version of the successful ERP system. The client is now browser based using HTML, Java script and CSS style sheets. You can access Dynamics AX anywhere if you have a WAN connection. It will work on multiple browsers and multiple devices. It is recommended to have at least a 10 inch screen. The public beta based on AX7 CTP8 is now available for partners and customers with an active enhancement plan. Details can be found on Partnersource and Customersource. The preview is valid for a limited time until the official version will be released. To get started, a lot of information is available on Dynamics ‘AX 7’ Technical Preview Help Wiki. You may also browse internet for several blog posts. For developers there is also a nice blog site mfp’s two cents with a lot of new x++ language explanations. Although the AX7 is based on AX 2012 R3, there are some smaller and bigger functional improvements. Some of them are really worth mentioning. A workspace in Microsoft Dynamics AX is a new concept which can be compared with the role center functionality from Dynamics AX 2012. They are mini role centers based on processes. Depending on your access rights in AX7, you can have access to multiple workspaces. A workspace contains tiles comparable with cues, some lists with record information, possible analysis reports, power BI tiles and/or links to related functionality. With help of a new task recorder it is now possible to record all steps and use this as playback for user guides, reproduction and also testing scenarios. You can use this to create documentation or training. Tasks can also be attached to processes in the Business Process Modeler on LCS. More information can be found on the AX7 task recorder wiki page. The Microsoft teams on Dynamics AX and Power BI collaborated to create a possibility to integrate Power BI with ERP systems resulting in a seamless integration. 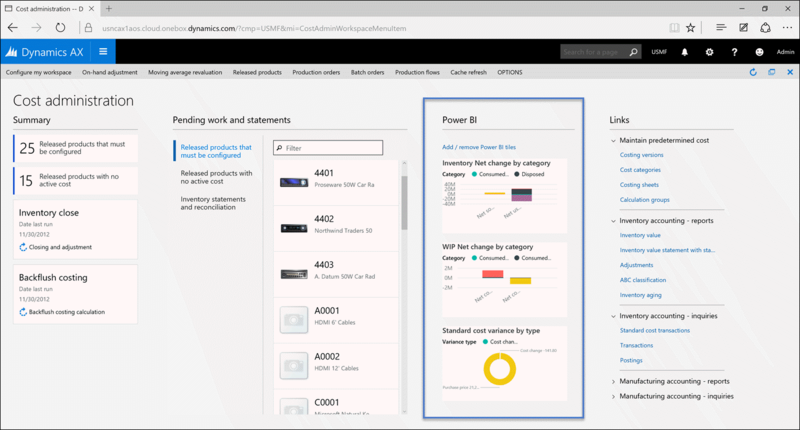 You can select your own Power BI reports to be part of workspaces in Microsoft Dynamics AX. General electronic reporting (GER) is a new tool for maintaining payment file formats and regulatory electronic reporting. This is based on configurable setup rather than using coding to achieve these requirements. A single definition can be used in several versions and environments. However it is possible to create and maintain your own formats, it would require knowledge to do so. You can find some more information on the GER Wiki page. This was just a first introduction of the new Microsoft Dynamics AX. Note that there are more nice new and enhanced features. In the coming period I will compile some more blog posts with some information and tips. I know that probably this is not the right place to post my question but that is the only place I’ve found talking about AX7. Have you been able to install the Dynamics AX7 Warehouse Mobile Devices Portal ? If you want me to place the question in any other place, please just let me know. Did you configure PowerBI with AX7 vpc? 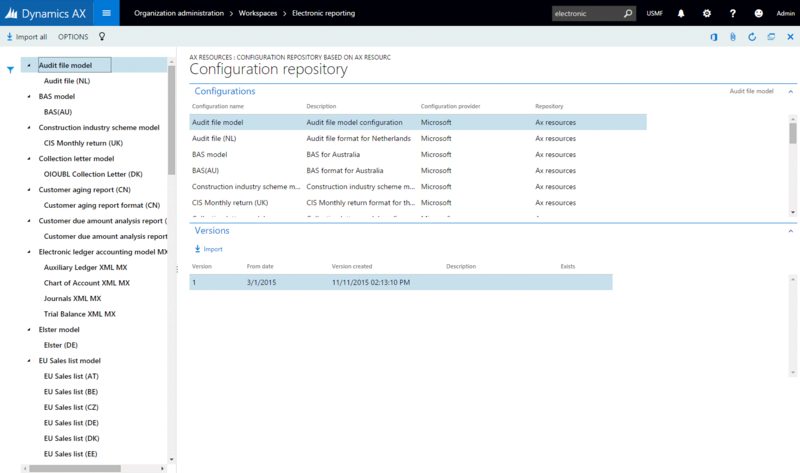 If yes, can you guide on registering AX on Azure and BI setup parameters in AX. Note that depending on your version, you might encounter some issues. In that case an application ID needs to be updated in the web.config file. Details can be found on the AX feedback group on Yammer. May I know what is the default port being used by Dynamics AX7? I have found very little info on the availability of Companion apps for AX7 or new features to replace these. Currently there are no companion apps for AX7 available. This is part of a future release. MS also confirmed that the apps will – at the earliest – be released EOY16. Awesome article it is without doubt. My boss has been looking for this info.